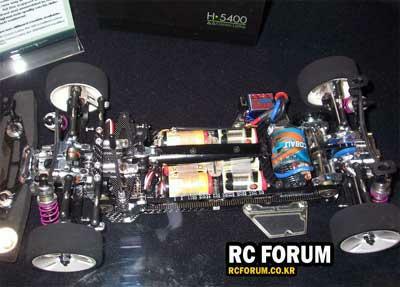 Red RC - RC Car News - Page 4230 of 4234 - Red RC - RC Car product news, views and race results. Team Magic have shown their E4 1/10th electric touring car at iHobby Expo in Chicago this week. Billed as the ‘Most advanced EP car’ according to their show label in the pictures from RCForum.co.kr, it seems advanced should be replaced with the word complicated. This is one seriously complex looking car, featuring a three belt system similar to a gas on road car, it also sports a 3×3 center mounted battery configuration. In fact replace the motor with an engine and the batteries with a fuel tank and you have a 1/10th scale gas on roader. Maybe considering their success with their T4 in winning the 1/10th Euros with Dario Balestri, this could be the intention. 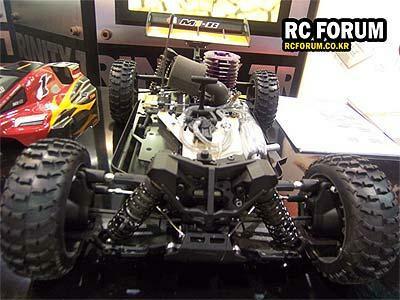 See this and other brands in the great coverage on the RCForum.co.kr site. Shown at iHobby Expo in Chicago this week is the all new Team Magic M1. This car features some very innovative thinking, centered aroung the fuel tank that is centrally located and on the body there is a moulded plastic cover that hinges open and closed with the lid, protecting it from dirt and debris. 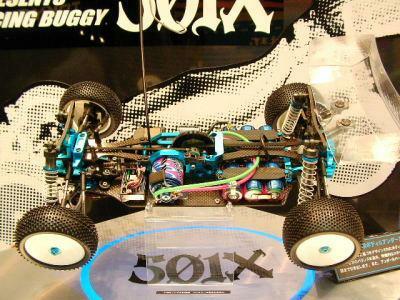 Buggy-sport.info alerted us to the fact that HPI are now selling unpainted bodies for the Baja buggy. Clear body panels for personal customization! NowÂ you canÂ go withÂ camouflage or your signatureÂ paint scheme and never worry about who is driving which Baja 5B in action packed moments. – Includes front, main and lower body panels. – Photorealistic die-cut premium vinyl decals. – A decal instruction sheet is included for decal placement. – The body has dimple marks for body post drill locations. – Molded from strong clear polycarbonate plastic for durability and long life. Serpent have just announced the launch of their long awaited F180 chassis. This 1/8th scale car is a true scale F1 car with grooved rubber tires, front and rear brakes as well as inboard suspension and an F1 type exhaust system that goes out the top of the body, at the rear. The Serpent F180 has been officially launched at the iHobby Expo in Chicago. Presented to the attending press and dealers at the Molzer Mowery Racing stand, details of the cars specifications and launch date have also been announced. Full specs and release dates for the 2 versions were also announced. Whilst iHobby Expo takes place in Chicago this week, Japan have their Plamodel Radi-con show (directly translated name, hope its right). As you would expect from our far eastern friends they have some really cool products on display as well as some strange things too. I have supplied some links to Japanese sites that are covering the show so you can get a feel of whats coming our way in the not too distant future. Here we have a group of photos seperated by manufacturer – Click Here. Current World Champion Andy Moore took victory in the first round of the British Indoor Winter Series held at Don Valley. Driving his Hot Bodies Cyclone in the modified class he finished ahead of team mate Jonathon Bowden with Ben Cosgrove in third. 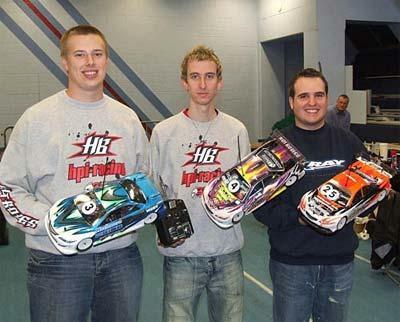 Ben who was making his debut with the Xray T2007 also took victory in the 19T class. Check out the full report including reports from the Mirage team drivers, here. 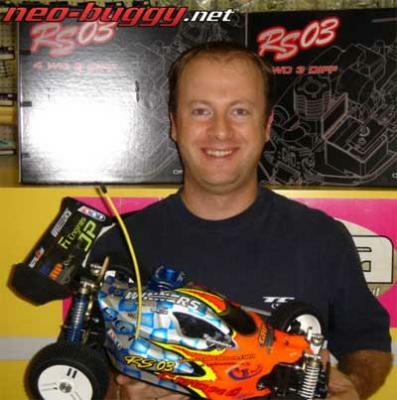 Neo Buggy are reporting that 1/8 off road European front runner Nico Rodriguez has left GS for SVM Crono. Nico who previously placed on the podium at the 2005 Europeans in France will drive the RS03 buggy with JP motors for the 2007 season. Dynamite have release their 2007 lineup of nitro engines. Called the Platinum series these off road motors are available in .21, .28 and .28 pullstart. 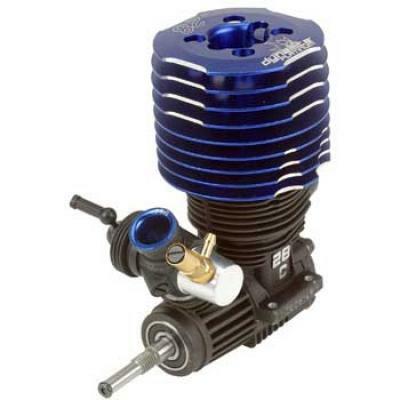 For an affordable racing engine comparable in performance to high-end Italian racing engines, Dynamiteâ€™s new Platinum Series offers dependable rear- exhaust nitro enginesÂ for truggies and monster trucks offering great power and respectable fuel mileage. View the product pages here: .21, .28, .28PS.